It’s the time of year when we Alaskans think about Pick.Click.Give – and where we plan to strategically give for 2019. 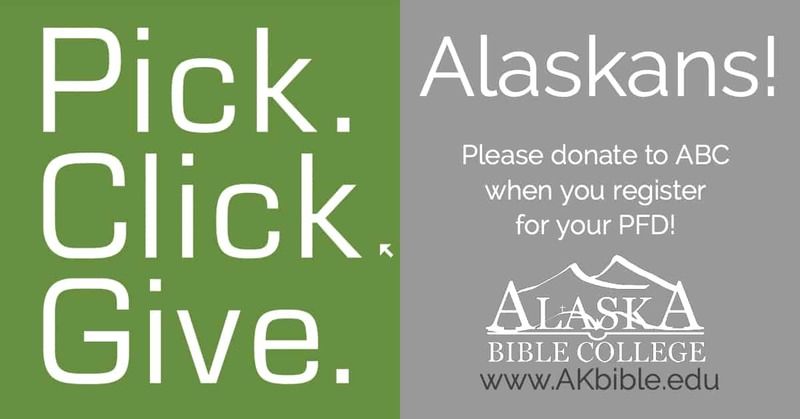 Your PFD donation to Alaska Bible College will help us to train the called to take the Good News of Jesus Christ to the valley and the village. Here’s how to give a portion of your PDF: http://www.pickclickgive.org/how-to-pick-click-give/.